Do I Need a Waiver of Inadmissibility if I was Convicted of One Offence for Possession of Marijuana Under 30 Grams? They were found in possession of less than 30 grams of marijuana due to a petty offence rule. The petty offence rule, as you will soon learn, does not mean you do not need a waiver; it simply means that you qualify to apply for waiver (as it related to an immigrant application) ONLY if you possessed under 30 grams of marijuana for a single offence. Or, they confuse it with the exception rule which applies to non-immigrants which states your inadmissibility will be ignored if you have only one summary offence. But, this rule does not apply to drug offences or felony violence. Often, summary violence offences in Canada equate to felony offences in the United States and therefore are treated as such. The exception rule applies to non-immigrants and the petty offence rule applies immigrants. In either case, you must submit a Waiver of Inadmissibility. The I-192 Non-Immigrant waiver is granted on a temporary basis. The I-601 Immigrant waiver is granted permanently unless conditions are imposed. Other ‘exceptions’ are also described. If you look above, the exception rule ONLY applies to (i)(I) Crimes Involving Moral Turpitude (ie. crimes of dishonesty). It does not apply to (i)(II) pertaining to drug offences, nor does it apply for felony violence which is described elsewhere. 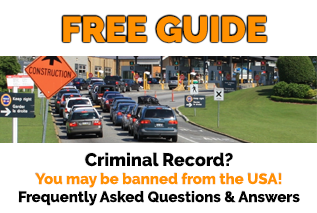 If you intend to enter the United States as a visitor (non-immigrant), you are inadmissible and will need a Waiver of Inadmissibility for Non-Immigrant to enter if you have a drug offence, regardless of quantity. A Waiver of Inadmissibility for Non-Immigrant is only granted for a temporary period of up to 5 years. The good news is there are no restrictions on applying for a Waiver of Inadmissibility for non-immigrant, meaning you are NOT banned from applying for an I-192 Waiver of Inadmissibility if you have a drug conviction, regardless of seriousness or quantity or type of drug. However, the decision to grant a Waiver is based upon 3 criteria outlined in the Hranka case (meaning you are not prevented from applying for an I-192 Waiver, but you still must meet the 3 criteria or be sufficiently strong in most of the criteria). There are also other exceptions to inadmissibility. I once had a client whose drug conviction was handled as a civil matter in the United States. DHS (previously called INS) responded in writing stating that they were not inadmissible. I came across this situation early on in my career and did not keep documentation proving this fact–but I vaguely recall they had immigrant status in the United States at the time of offence and therefore, it did not render them inadmissible due to their immigrant status, even though they abandoned (gave up) their immigrant status at a later date. They were found not inadmissible due to the petty offence exception below. But, they still had to submit a Waiver Application in order to get this ruling. Once a person has a drug conviction, most border guards will refuse to grant admissibility, leaving it up to authorities to make that decision via Waiver application. I once had a client that confessed to consuming narcotics at a U.S. Port of Entry and as a result was denied entry. An Application for Waiver was submitted and DHS responding stating they were not inadmissible. I remember the explanation as to why they did not need a Waiver to be vague. So, it would be difficult to quote laws in this case. Not all clients are lucky in this regard as not all officers at DHS decide in the same way despite being subject to same laws. In a case like this, an application is made, but if the outcome is unsatisfactory, retaining a U.S. lawyer to fight your case may be necessary and worth pursuing. Even the best lawyers have to fight their case when the initial decision is not satisfactory. There is a certain amount of subjectivity which cannot always be controlled by the person assisting you with your application as laws regarding inadmissibility are always complex. No Waiver Specialist or U.S. Immigration Lawyer can guarantee a specific outcome. Committing a non-felony drug offence prior to your 18th birthday does not render you inadmissible (this also applies to situations where you committed the offence prior to your 18th birthday but was not convicted until on or after your 18th birthday). Does the Petty Offence Rule apply to Possession of Marijuana under 30 grams? An alien may be rendered inadmissible under section 212(a)(2)(A)(i)(II) of the Immigration and Nationality Act, 8 U.S.C. § 1182(a)(2)(A)(i)(II) (2006), on the basis of a conviction for possession or use of drug paraphernalia. An alien who is inadmissible under section 212(a)(2)(A)(i)(II) of the Act based on a drug paraphernalia offense may qualify for a waiver of inadmissibility under section 212(h) of the Act if that offense “relates to a single offense of simple possession of 30 grams or less of marijuana. Based upon the information provided, it sounds as though you are seeking to immigrate to the U.S. permanently based upon a marriage to a U.S. citizen. If this is the case, then a Form I-192 waiver will not do you any good. In addition to the required documentation for the immigrant visa application process, you will also require an immigrant waiver of inadmissibility (Form I-601). This immigrant waiver is limited in cases involving controlled substances – only individuals who have only one conviction, which involved less than 30 grams of marijuana, are eligible to apply for this waiver. Thus, if you were convicted of an offense involving any other controlled substance or of an offense involving more than 30 grams of marijuana, there is no immigrant waiver available. This means that individuals who possess more than 30 grams of marijuana NEVER qualify to immigrate to the U.S. under I-601. But, they can still apply for an I-192 Waiver of Inadmissibility provided their stay in the United States is only for a temporary purpose (ie. as a vistor). Under the petty offence rule, you can apply for and receive a Waiver of Inadmissibility under 212(h) as an immigrant (ie. you still need a waiver), and if approved, you overcome your inadmissibility permanently (or subject to conditions), but it will only be approved if you possessed less than 30 grams of marijuana and you meet all other requirements to immigrate to the United States. CAUTION: if your I-601 Waiver of Inadmissibility for Immigrant Application is denied, you may subsequently have a hard time getting an I-192 Waiver of Inadmissibility for Non-Immigrant if you are unable to convince the U.S. your subsequent trips to the United States are only for a temporary purpose. NOTE: some U.S. lawyers think everyone is banned entry PERMANENTLY to the United States if they possess more than 30 grams of marijuana. This is mostly false. Yes, they are permanently inadmissible. But, they still qualify to apply for a Temporary I-192 Waiver of Inadmissibility for Non-Immigrant. As long as U.S. authorities believe the applicant only intends to enter the U.S. for a temporary basis, they have rehabilitated, and their reasons for going to the U.S. are compelling given the seriousness of any conviction, the application is likely to be approved. As I am not a ‘lawyer practicing in the United States”, I am also NOT qualified to give legal advice on this matter. I must stress that the same applies to all paralegal companies providing waiver services in Canada. I can only share with you my 25+ years of experience as a U.S. Waiver Specialist (I have processed over 1000 applications) and my research found in this blog. One other thing: though simple possession of marijuana may not be a crime in many US States, possession of marijuana is still a Federal Offence and Federal laws apply to non-immigrant matters. Hello friend. My name is Ely, and welcome to JustAnswer. Please note: (1) this is general information only, not legal advice, and, (2) there may be a slight delay between your follow ups and my reply. 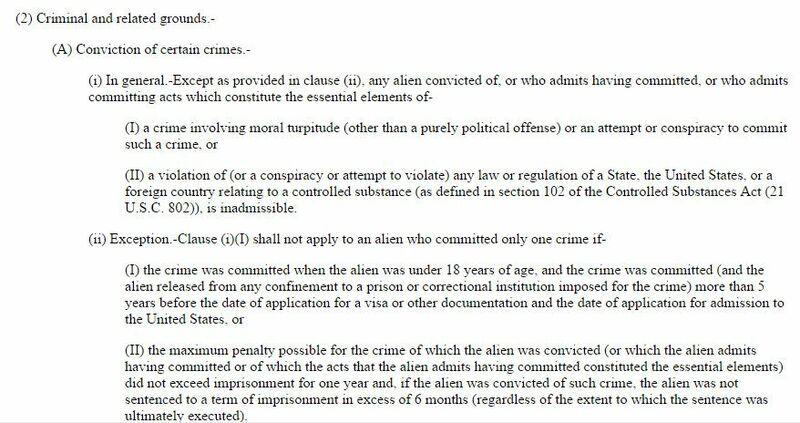 According to INA § 212(a)(2)(A)(i)(II) and 8 USC 1182(a)(2)(A)(i)(II), a non-citizen with a drug conviction is generally inadmissible (Canadian or not). 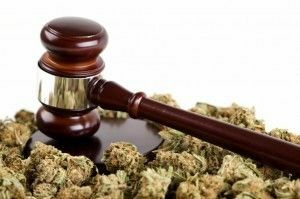 Despite common belief, there is no exception for 30 grams or less of marijuana, but, a person with a single conviction of 30 grams (or less) marijuana possession may file an I-192 to get a waiver. So yes, the Canadian citizen in such a case would then need to file an I-192 prior to attempting entry, and getting a positive reply. Generally speaking, individuals with no priors and only one simple convictions are approved. As a result, it would appear that my opinion concurs with the opinion of a Counselor at Law practicing immigration law in the United States. I had a client years ago who got the ‘non-inadmissibility letter’ for non-immigrant for simple possession of marijuana under 30 grams and I have been unsuccessful in getting it since for other clients. For the longest time, I could never clearly answer the question why she got the letter because her non-inadmissibility letter was so vague and my research has always shown that you do need an I-192 Waiver of Inadmissibility for Non-Immigrant. Am I missing something or was the letter issued in error? I was never able to confirm it one way or another for the longest time–except for my own research that confirmed time and time again that you do need a waiver…leading me to believe her non-inadmissibility letter was issued in error. NOTE: if we do submit a Waiver and DHS determines the applicant not to be inadmissible, they will often confirm that fact. And, they have not done it since for possession of marijuana under 30 grams. My client was a Canadian without immigrant status in the U.S. I thought normal laws applied to her. I just could not figure out why she got the non-inadmissibility letter. It was not until my research some time later that it dawned on me why she probably got the non-inadmissibility letter. Though I have lost touch with her, I recall she previously lived/worked in the U.S. She most likely had immigrant status at the time she committed the offence. We applied for her waiver because (a) she gave up her immigrant status; and (b) following her return to Canada she was then denied entry to the United States on a subsequent business trip. I had assumed at the time (around 15 years ago) that since she gave up her status in the US, normal laws applied. I remember thinking “its a shame she gave up her status…now she needs to apply for waivers for the rest of her life”. Subsequent research revealed that if she had immigrant status at the time of offence, she can overcome her inadmissibility permanently if she was in possession of less than 30 grams of marijuana–even if she subsequently gives up her immigrant status. – you apply for and receive immigrant status and your I-601 waiver is approved (without conditions). Hello, I have a 30 year old conviction for production of a marijuhana plant for which I was sentenced to 1 year conditional discharge due to minor nature of offence, I did not appear in court as the police took my plea in the police station. I imagine this plant would have not yielded 30 grammes of marijuhana, there are no records of its size or weight, I have no idea, it was not big. Have you any idea how the production of marijuhana charge can be overcome. Can a case be put for it “relating” to under 30 grammes of marijuhana as is the case with drug pariphenalia am in London with my US husband trying to get to US. I believe that since the offence is related to cultivation the under 30 grams won’t apply. I believe under 30 grams applies to convictions of simple possession only.